A transportation service will pick up from your hotel at the established time and will transfer you to the bus station. Today you will be picked up from your hotel early in the morning and transferred to the kayak departure point in Capachica. From there you will start the 5km stretch to Llachón (total time of Kayaking between 1 ½hr to 2hrs). 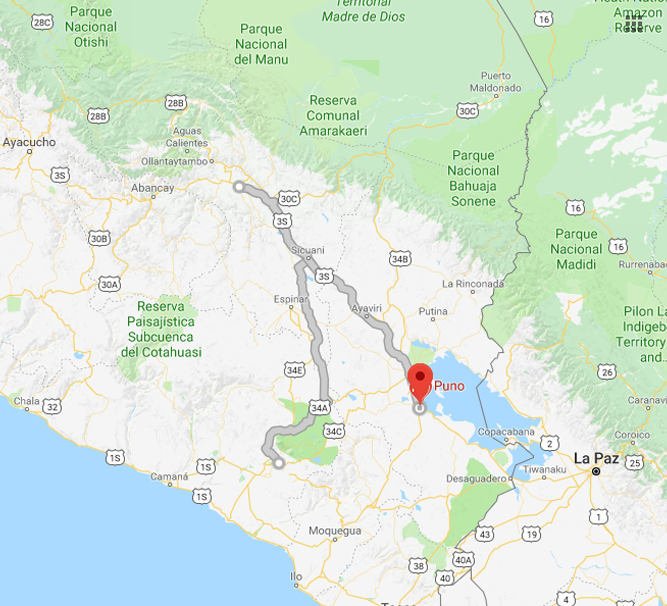 Halfway through the route, you will stop at a sandy beach where you will enjoy a picnic based on Andean products as well as coca and muña tea. You will be able to rest and appreciate the beautiful landscape that surrounds you. For lunch you will have Pachamanca; an ancestral way of cooking products like potatoes, sweet potatoes, chicken, corn, meat and more with hot stones inside a hole in the ground. After lunch, you will return to your hotel. 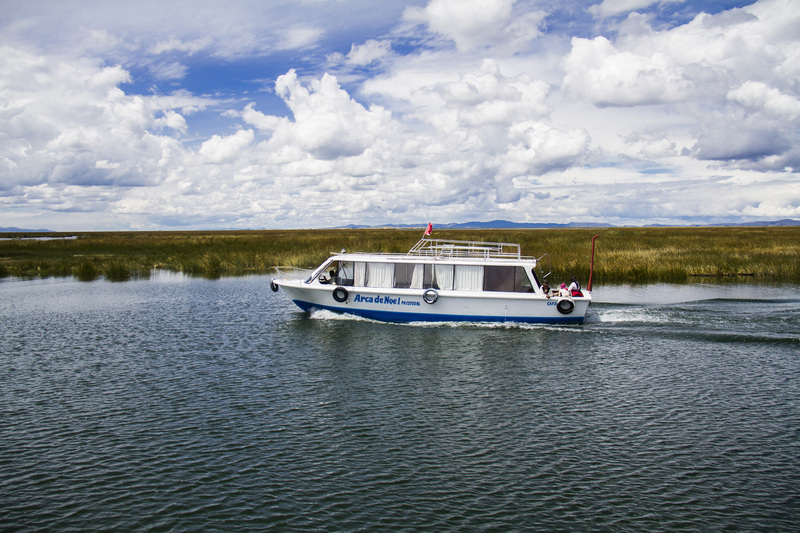 Upon your arrival to Puno’s lake port, a boat will take you to the floating islands of the Uros. 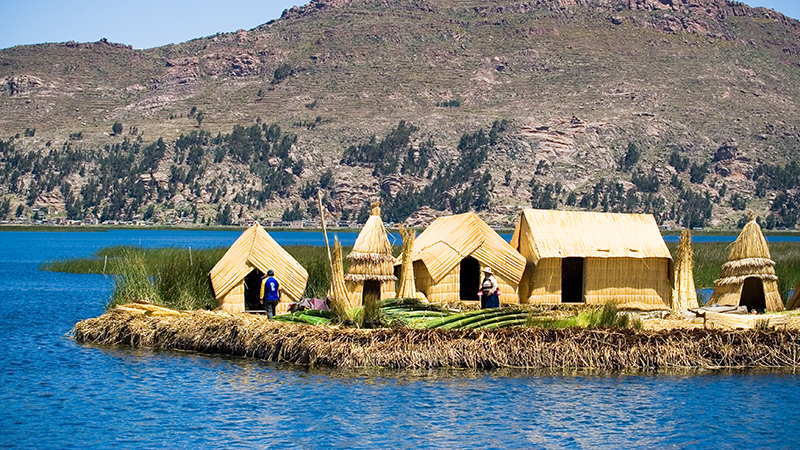 Uros are an ancestral society that inhabits a series of artificial islands built with totora, a reed that grows in the lake. The islands are built by weaving these reeds in the places where they grow the thickest and form a natural layer. 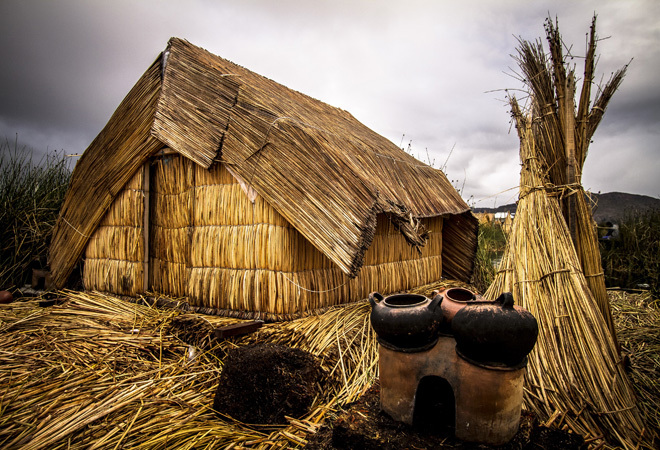 They build their totora houses over it and cook in the open air to prevent possible fires. After an hour and a half tour, you will continue your trip to Taquile Island. Unlike other islands, inhabited by Aymara-speaking people in the lake, its residents speak Quechua. It was part of the Inca Empire and it is possible to note vestiges of said culture in their buildings. Upon your arrival, you will receive a brief explanation of the island and will attend a cultural activity. You will return to Puno after lunch. Why not kayak at the highest navigable lake in the world? It can all be arranged! 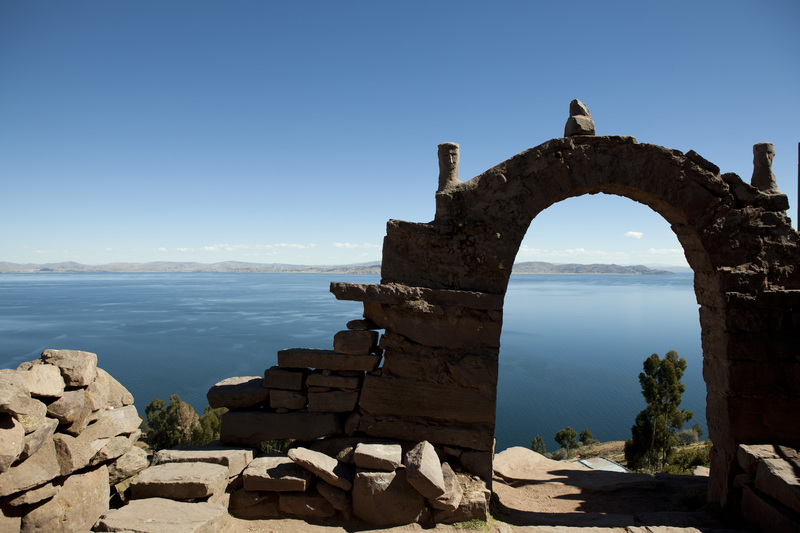 This tour offers you the opportunity to get another perspective of Lake Titicaca and its people. After kayaking, you will relax at a sandy beach while enjoying a picnic with traditional Pachamanca. 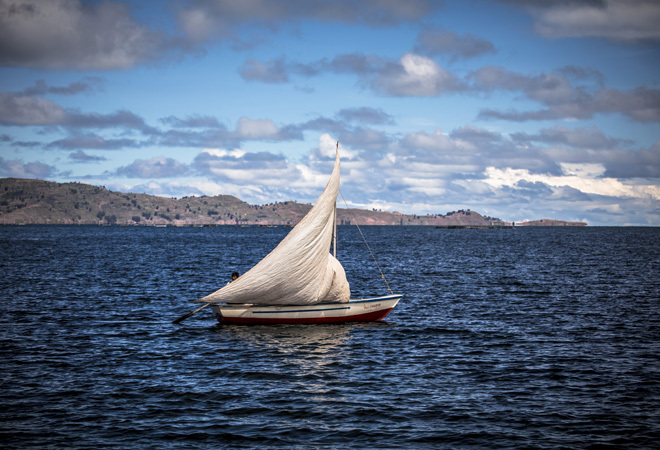 Moreover, you will visit Uros and Taquile Islands, from where you will enjoy the views of the Titicaca Lake that seem endless, almost as if it was an ocean. The FD Uros/Taquile is operated in a shared service (shared boat) but includes their own private guide – semi-private service. Services are in private. Except for full day Uros/Taquile, which is a semi-private service.